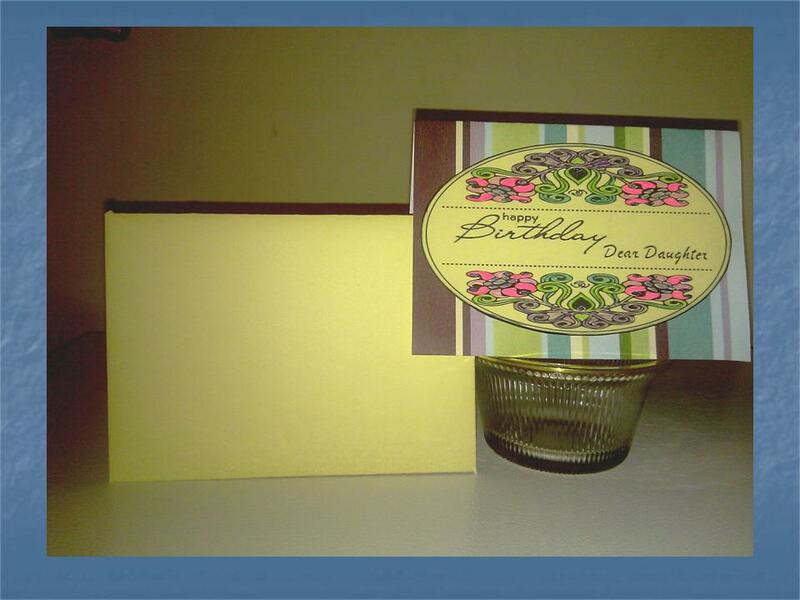 September is a busy Birthday month in my family and with my cardmaking in full throttle, my Mom asked me to make a Birthday card for my sister and with that took the slow approach to keeping it simple. I must say that it's easy for me to overthink a project and end up with a motherload of embellishments. For the card base I used Colorbok multi-stripe cardstock, and also Colorbok cream cardstock to print the digi stamp from Bird's Cards, she has such lovely circle frames which has channels to add a sentiment. Again I used a digi sentiment stamp from Bird's Cards and used WordArt for Dear Daughter. Now on to the good part, coloring takes me back to my childhood, being an introverted child I had tons of crafting gadgets to placate me and one being coloring books. I immediately pulled out my stash of Glitter Gel Pens & Colored pencils and presto a simple card with pop. I have been looking at the Copic Markers which offers a variety of shading markers in earthtones, but not sure if I can handle the price of them.... just yet. 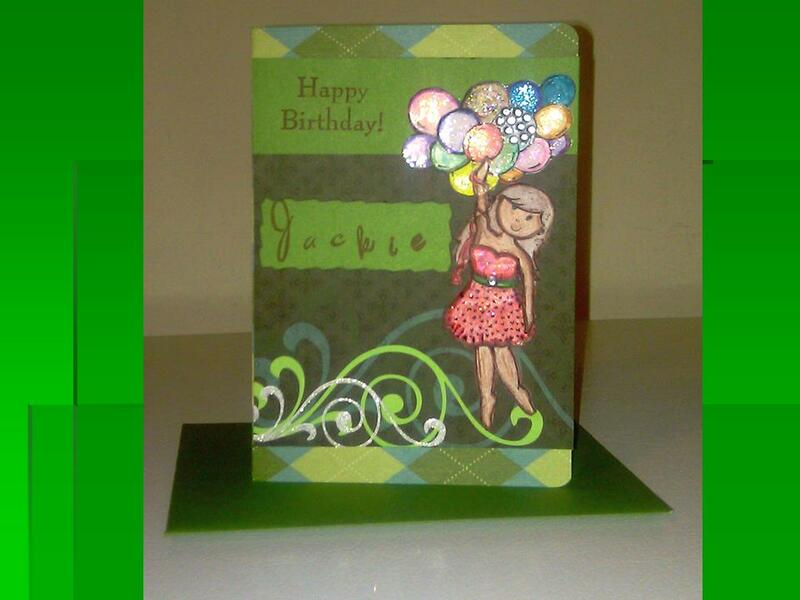 This card is for my Brother.. again I went with simplicity using Colorbok cardstock & DCWV 6x4 Matstack, together with Bird’s Cards Digi Sentiment stamp. For the name I used WordArt in Powerpoint and finished off the fonts with Black glitter gel pen… could I get any more masculine than that. Off to see what other craftiness I can tangle myself up in... Have a Great Week. Lovely cards, Sheila. I'm sure all will be pleased with their very own special greeting. So cute! I love making cards too and can just get lost in doing it! I think they are so special. Great cards! I'm sure they will be treasured by all. Nice cards! I'm sure they'll enjoy them! Beautiful cards Sheila! You should start an Etsy shop if you don't have one already! Love your cards! 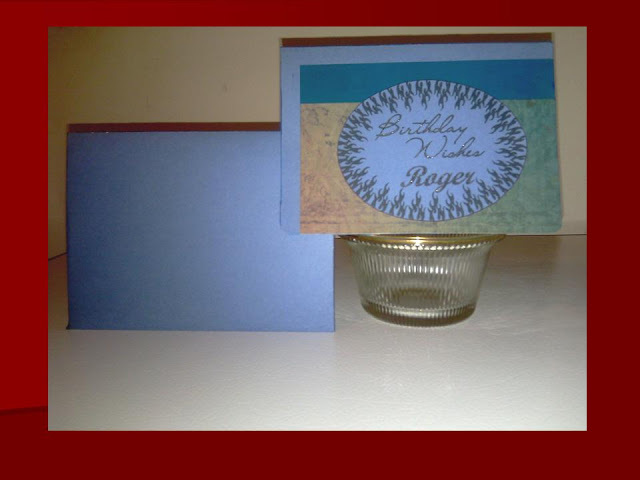 I enjoy cardmaking too, and when I get my supplies all spread out, I get on a roll and make several at a time. I am better making batches of them than making one at a time :-) Yours are much more personal! Pretty cards and lovely blog! I'd love to own some Copics as well. I'm thinking about asking my husband to get them for X-mas!